We've spent a fair chunk of this summer in airports and next week, Palma will be the 8th airport we've visited this year. I'm always surprised at how much airports vary in both style and facilities, from the grand scales of Schiphol and Charles de Gaulle to the smaller regional airports like Genoa, they're all different in their own way yet have one thing in common - they're all so expensive! My first trip of the year was from Newcastle airport to Charles de Gaulle and I honestly nearly fell off my chair when the bar charged me £4.95 for a very small bottle of Budweiser. I was put off ordering any kind of breakfast as it was going to work out at over £50 for a bacon butty and soft drink for us all at The Flying Hippo (no wonder it was empty) and don't get me started on the price of Jack's new cap we had to buy from the airport as he'd 'lost' his en-route....... I could easily spend £100+ at an airport as there is so much temptation, you're already in holiday mode and want to treat yourself and there's usually nothing much else to do. I've decided enough is enough though. As much as I love treating myself in duty-free or starting the holiday with a few beers, I would much rather spend £100 when I'm actually on holiday and use it to make the most of a destination I want to visit rather than sitting in a generic airport departure lounge. I asked over on my Instagram page for money-saving tips and have decided to share them along with my own in this post today. 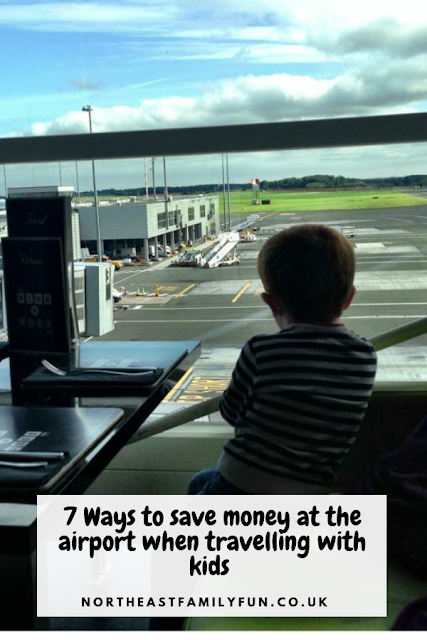 I'm going to try and put these tips into practice and aim for a 'no-spend' airport visit for the first time ever when we fly to Majorca. Fingers crossed it works! In the past, we've always opted to dine at an airport in order to kill time but I think this is where we've been going wrong. Food prices at an airport are nearly always inflated and the food is usually not that great. I still do like to start our holiday off in style though so next weekend we've decided to dine at an Italian restaurant near the airport before our flight. Happy Hour pizzas and pastas are just £5.95 each which offers a massive saving when compared with airport prices. Other options include eating at home beforehand or packing a picnic for everyone to eat in the departure lounge. When flying with budget airlines, I can never resist the trolley and will always order snacks and drinks for us grown-ups and kids. This time, I'm going to pack the kids a plane picnic and snack bag with their favourite treats from Aldi. I reckon we'll save at least £10 doing this and the kids won't have to wait for the flight attendant and can tuck in straight away which probably means they'll be less bored too. I left buying books to the airport during our trip to France this summer and ended up spending £22 in WH Smith. I was almost scared to look but the same books would have cost less than a tenner elsewhere. There is so much temptation in WH Smith too - especially in the form of sweets, snacks and drinks and it's much more sensible to avoid altogether. During our next trip, I will be buying the kids some activity books and my books from the Book People well before our flight. If you want to save even more money, you could always take a trip to the library with the kids before your break away. A few people shared this tip for me but I am honestly the type of person who could not do this. If you have nerves of steel, it does pay off though as turning up at the last minute physically means you don't have a chance to spend any cash as you're straight onto the plane. This tip was super popular and recommended countless times. Obviously, you can't take bottles of water (over 100ml) through airport security but there's no rule saying you can't take empty drinking bottles through. Depending on the airport, you may have access to drinking water fountains, bars which will fill up water bottles free of charge or if you have to, you can save money by buying a larger bottle of water and sharing it amongst the smaller bottles. Water tends to be priced at two bottles for £3.50 so we'd save at least a tenner doing this. That's enough for a couple of cocktails once you're on holiday. I know which one I'd choose! 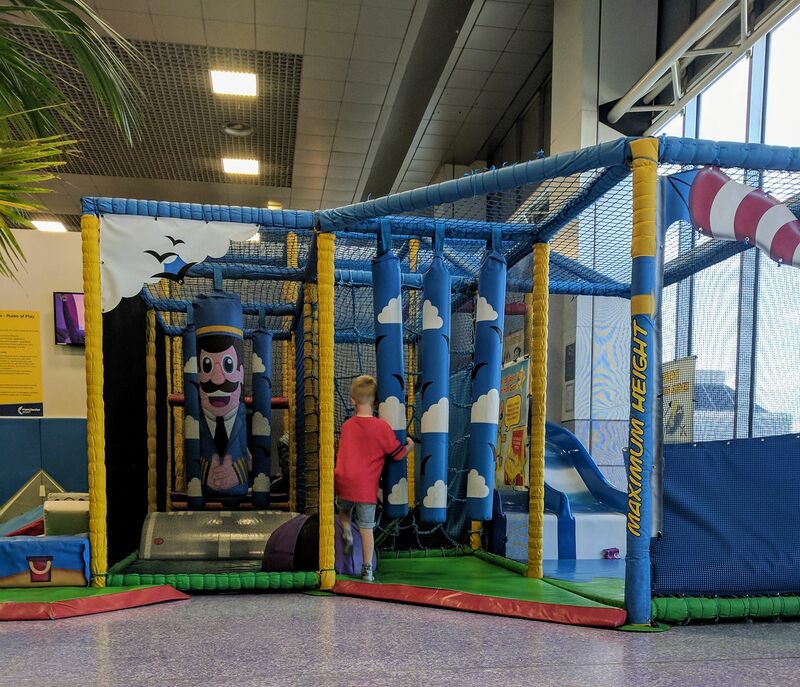 Not everything at an airport is designed to make you spend money, most airports now have USB chargers built into their waiting areas which are free to use and many will have free soft play areas for kids too. I'd recommend researching before you visit as often airports or so large or these areas are tucked away in corners and they may not be obvious once you're there. Steve and I loved visiting the Escape Lounge at Manchester Airport before our trip to Cuba last year. For me, it was worth the money as we were able to relax in style and enjoy unlimited food and drinks. Plus it kept us away from the shops. The fact that it's all pre-paid means that it's easier to budget too. We definitely spent less on a lounge than we would have in the general airport. 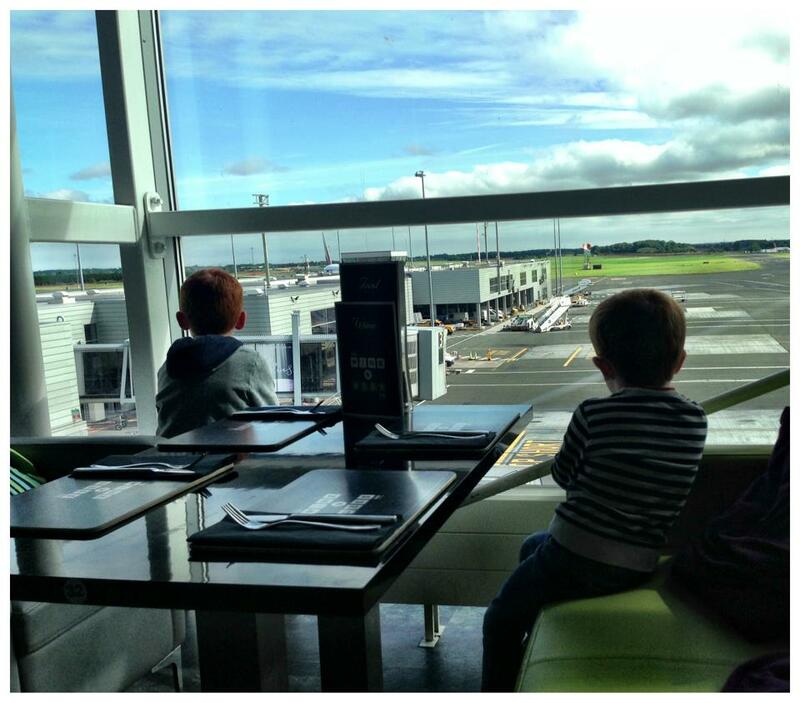 Saying that, the cost for kids might not be worth it (as they won't be drinking alcohol) and I think airport lounges are probably best suited to families with older kids who might eat and drink a lot and welcome the complimentary WiFi. 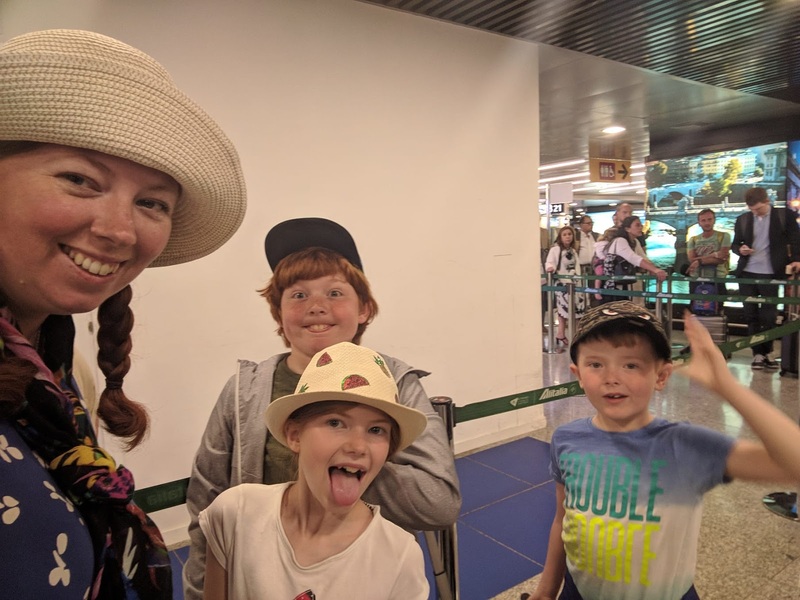 I priced the Aspire Lounge at Newcastle Airport for our trip to Majorca and it was £26.99 per adult and £17.99 per child so for 3 adults and 3 children it would work out at £135 which for me, doesn't offer the best value. I won't discount lounges with children completely though and do think it's something we'll consider when the kids are a little older. Loving these tips, I must admit even reading the turn up last minute one brought a feeling of panic but for frequent, confident flyers it definitely makes sense! When you tot up that price for breakfast it's unbelievable isn't it, and you're so right that we all feel in 'holiday mode' so spend far too much! Good luck for your no-spend airport day and have a great holiday. Great tips! Not sure I can ever resist my airport splurge of a pair of designer sunglasses though, I've turned it into a tradition and it's one of my highlights of a holiday! LOVE the idea of turning up later to avoid temptation but I'm definitely with you, I could never ever do that, I'm just too organised and a natural stress head! We once made the mistake of eating in the Flying Hippo, not only a rip off but the food was terrible! We almost always book into an airport lounge unless one of us has to drive the other end. For the prices of what would be a drink and a burger in departures you easily get your money worth!